Estonia supports further strengthening of relations between the United States and the European Union and favors the conclusion of the Transatlantic Trade and Investment Partnership (TTIP), according to Estonian Foreign Minister Sven Mikser. 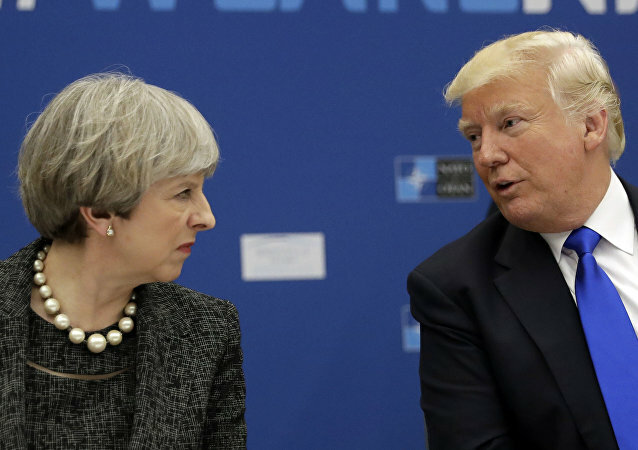 US President Donald Trump has said the White House is planning a "big and exciting" trade deal with the UK after Brexit because “you don't hear the word Britain anymore." However, his desire to "Make Britain Great Again" is unlikely to be welcomed by great swathes of the UK population. 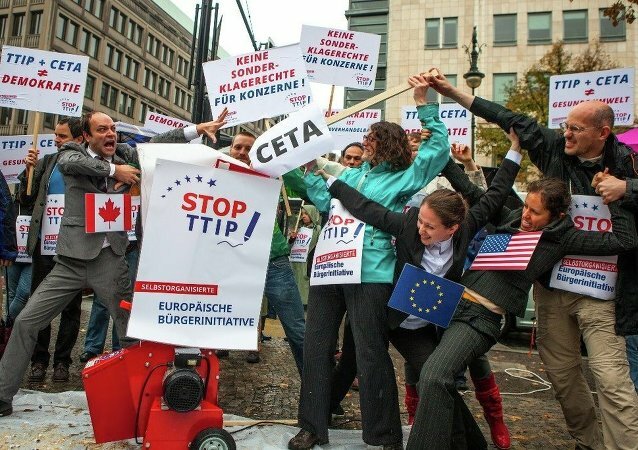 The European Commission has begun to take up the European Citizens' Initiative (ECI) against the US-EU Transatlantic Trade and Investment Partnership (TTIP) following an EU court decision, "Stop TTIP," campaign organizers told Sputnik Wednesday. 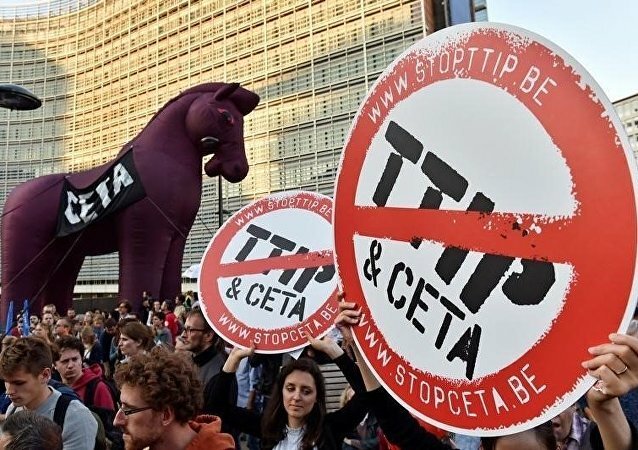 EU trade commissioner Cecilia Malmstrom is in Washington, April 24, to discuss with US trade officials how to proceed with talks over the Transatlantic Trade and Investment Partnership (TTIP) which US President Donald Trump said was all but off in the run-up to his election. 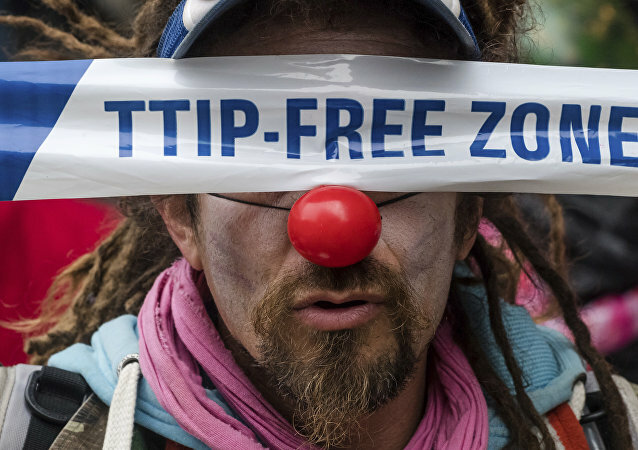 A new report says the proposed US-UK trade deal promised by Trump will be "TTIP on steroids," bringing in "corporate courts," privatization of health services and a threat to climate change, Sputnik has been told. 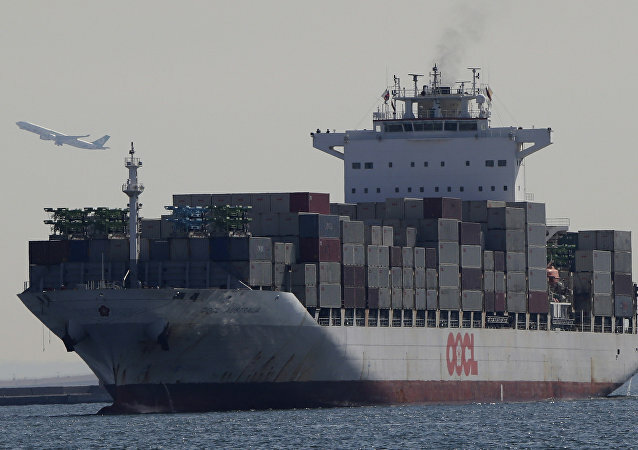 Washington is going "to chart a path forward on TTIP negotiations", according to House Speaker Paul Ryan. German Chancellor Angela Merkel is set to meet US President Donald Trump, March 17, in their first encounter at the White House since he became president, after having said Merkel's acceptance of refugees was a "catastrophic mistake" and that she was "ruining Germany." EU Ambassador to the United States David O'Sullivan stated that while the European Union is ready to continue discussions on the matter of the Transatlantic Trade and Investment Partnership (TTIP) if the Trump administration is interested, at the moment there is no one to talk with. 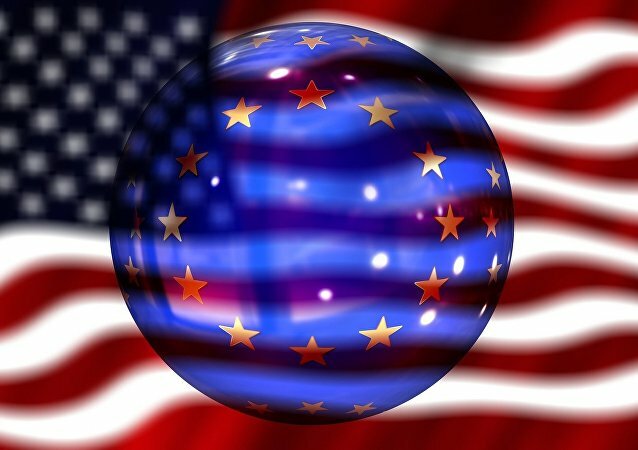 The EU foreign policy chief said changes in the United States could become "a destabilizing factor for the rest of the world".